Understanding how your computer stores your work, why it does so, and how to work better with that understanding. What settings should I use for scanning sheet music? Use 300 DPI monochrome for most purposes. Use 600 DPI monochrome if you are creating a permanent archive versions. Use 600 DPI greyscale if you need to preserve pencilled annotations. If you have many pages to print, make sure you have an efficient workflow. How do I start writing sheet music on my computer? Install MuseScore and learn to use it efficiently. What is MuseScore? Where do I find it? MuseScore is a free application for editing sheet music. You can download the current version from musescore.org. Can it be any good if it’s free? MuseScore is open source, released under the GNU General Public License. This does not automatically make it good or bad compared to “closed source” applications. The document you are reading is hosted on a web server running the Linux operating system, Apache HTTP Server and WordPress content management system1. All are longstanding projects that have proved themselves capable and are in widespread use. You are also probably reading this on a web browser that uses the WebKit layout engine, if you aren’t using Firefox, where the whole browser is open source. It is good to ask what pays for “free” software. Sometimes it is advertising. Some “free” websites rely on intruding on your privacy. Some especially malicious examples go hunting through your files for credit card or bank account details. MuseScore, at the time of writing, does not do any of these; it relies on an associated storefront for selling music written in MuseScore, with free accounts (which may be subject to advertising on the website, but not in the MuseScore application) and “Pro” subscriptions2. Can I use anything else? Yes, there are many other applications that do this job. The most common two are Finale and Sibelius. For an incomplete list, see the Wikipedia Comparison of Scorewriters. If you already have one installed, you may prefer to start there. You can download a time-limited demonstration version of most notation editors as well. If you would rather not install anything on your computer, try NoteFlight, which runs in your web browser. While you don’t have to install anything, this does require signing up for a free account. NoteFlight has some potential for teachers and students wishing to easily share work. Its notation library is limited, however, and its use of the browser keeps it from using all available keyboard shortcuts. I have a notation editor, how do I start using it? Learn how to do basic notation in it, then practice that. This site has a number of posts on the subject, starting with How do I efficiently write sheet music on my computer?, with other topics listed at the Cowirrie Guide to Writing Sheet Music. Most notation editors also have both written and video tutorials. 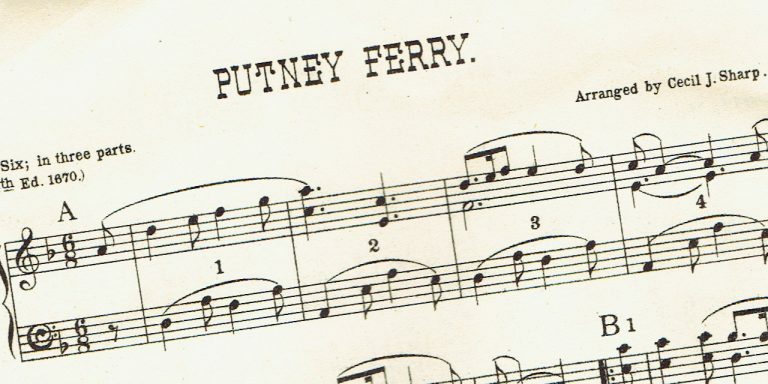 How can I turn my sheet music into a book? You can do this, but there are at least three distinct methods. Each has different compromises. So, how do we go from notation to a single PDF? What are vector graphics? When should I use them? Vector graphics are images defined by shape coordinates, instead of the more common method of defining them by pixels. You should use vector graphics whenever a vector file exists and the application you use can read it. Neither circumstance is as common as it should be. Below is a picture. Take a moment to think about how you would describe it. How do I make my PDF files smaller? By compressing the pictures. Depending on the tools available you may apply this compression (1) to your existing PDF, (2) while generating your PDF, (3) to your source document, or (4) to your individual pictures. Every technique described here will make the pictures in your document fuzzier and less distinct. Never overwrite the original print-quality document with a compressed version. Before sharing a compressed PDF, open it and take a close look to make sure it’s still meaningful. How large might my PDF be? A good assumption is that your PDF will be at least as large as the sum of the pictures that go into it. This isn’t always true – some PDF generators insist on applying some compression (making the file smaller than estimated), while some edits may turn JPEG-compressed pictures into PNG or TIFF (dramatically increasing the file size). Still, it’s a start. What is a LilyPond file? It’s a text format for storing sheet music, and many existing classical pieces have already been notated using it. Here is the some LilyPond source code. It may be written in any text editor. It may look intimidating, but scroll down to see what happens to it. Why will the music CD I play on my computer but not in my CD player? Most likely because it is a data CD containing audio files, not a music CD containing audio tracks. It is also possible that your computer isn’t burning CDs properly. See Why does the music CD I burnt on my computer skip when I play it? If you are sure the CD does indeed work in computers, it is probably a formatting problem. Why can other computers write to this memory stick, but mine can’t? Because the memory stick is not formatted for your computer’s native filesystem. Back in What is a file extension? Why does it matter?, we learnt the importance of file names and file extensions. However, even file and directory names are stored as a sequence of numbers. The filesystem is a set of rules about how to turn that sequence into folders and files. It would be nice if all computers used the same filesystem. As usual, they don’t. Why does the music CD I burnt on my computer skip when I play it? Because it has some burn errors. One of the few consistent virtues of computers is patience. They may rudely insist that we answer “OK” or “Cancel” to some inane question we don’t understand, but they don’t complain if we wait hours before answering. Burning a disc is a rare exception. It is a physical process, with the disc being spinning at up to 4,800 revolutions per minute1. Then the drive must write retrieve the information to burn just as it needs it – up to 900 megabytes worth. There are two ways that this can go wrong: (1) physically shaking the disc as it spins, or (2) interrupting the data transfer. What is the difference between a checkbox and a radio button? Checkboxes may be switched independently of each other, while radio buttons are part of a group where only one may be active at a time. Try clicking on these radio buttons. You should find that this “application” can walk, and it can chew gum, but not both at the same time.